· Strives to develop within its members a non-quitting spirit borne of discipline, will and self-reliance. · Emphasizes the integral importance and necessity of community and fellowship in the personal development of its members. · Encourages independent research and development of karatedo in order to facilitate growth and expansion of knowledge. · Emphasizes hard, strenuous training in order to develop strong bodies that contribute to the health and self confidence of its members. 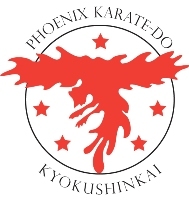 · Recognizes the many traditional influences of modern karatedo while continuing to facilitate the future growth and expansion of the Association as a whole as well as of its individual members. Oyama Sensei expressed his martial arts philosophy in these eleven mottoes, which are central to his teaching and to the foundation of Kyokushin Karate. 4. Even for the Martial Arts practitioner, the place of money cannot be ignored. Yet one should be careful never to become attached to it. 5. The Martial Arts way is centered on posture. Strive to maintain correct posture at all times. 6. The Martial Arts way begins with one thousand days and is mastered after ten thousand days of training. 8. The nature and purpose of Martial Arts is universal. All selfish desires should be roasted in the tempering fires of hard training. 11. Always remember; in the Martial Arts, the rewards of a confident and grateful heart are truly abundant. "...Karate should not be regarded as a military art to be used in defeating an enemy, but as a means of self development in both physical and the spiritual sense. In sum, karate, properly viewed, is a way of perfecting the character."